A Sunflower Life: Just Who Was Elizabeth David? 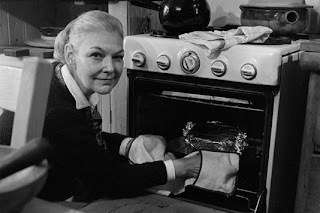 When I joined the group of food bloggers (see their links below) who are paying tribute to the Gourmet Live list of 50 Women Game-Changers in the food world, the names on the list for each week were familiar to me. 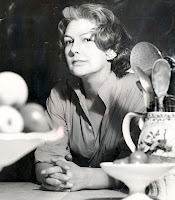 I had never heard of Elizabeth David, much less own one of her cookbooks. (Thank goodness the local library had copies.) 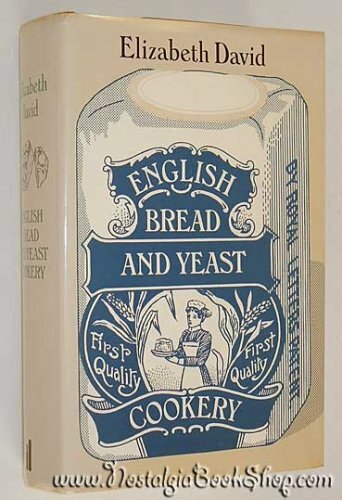 And then, as Fate often works in these situations, I saw Julia Child hold up this cookbook on a show about homemade English muffins. So if Julia liked her work, I was interested. After looking through two of her cookbooks, I choose to make Omelette aux Pommes de Terre, which first requires me to make Galette de Pommes de Terre and then add eggs. I’ve made my own versions of this dish many times, which is very much like an Italian frittata. So I decided to give hers a try. Try the recipe out and let me know what you think. It is very easy, especially if you use a food processor to slice the potatoes. And if you think of any other ways to change it around, I’d love to hear them! Peel about 1 1/2 lbs. of potatoes [I used Russets] and slice them very thinly and evenly. [I used a food processor.] Wash them in plenty of cold water. In a thick frying-pan heat a tablespoon of butter and one of oil (the mixture of butter and oil give a good flavour, and the oil prevents the butter from burning). Put the potatoes into the pan and spread them evenly; season with nutmeg, salt and ground black pepper; turn the heat down as soon as they start to cook, cover the pan and leave them cooking gently for 15 minutes; by this time the under surface will be browned and the potatoes coagulated in such a way as to form a pancake [this didn’t happen for me]; turn the galette over and leave the other side to brown for 3 or 4 minutes. So far it seems that her recipes are very straight forward with good results. glad to know this is a bit bland, nothing a little spicing up couldn't fix...it looks wonderful! I was happy to discover Elizabeth David on the list. She inspired many and still continues to do so. Wow - this looks like great brunch food. Thanks for bringing it to light. I'm a big fan of cheese, and bland is nothing a little salt can't fix! Elizabeth David was a stranger to most of us, but she was very intriguing to read about. Linda, Your Omelette looks wonderful! I love potatoes and eggs...add cheese and what could be better! Nice post!